TP Flame Spray Coating of concrete containment H2SO4 tank. Very good Resistance to 95 % - 100 % sulphuric acid flow. This coating also very good resistant to Hydrofloric Acid 5 - 10 % concentration, Nitric Acid 10-30 % concentration & Hydrocloric Acid fumes. 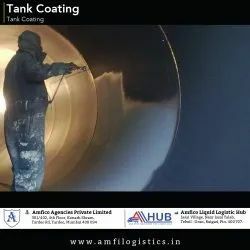 Our company has mastered the art of providing Tank Coating Services. Captivating the skills of our professionals, we are involved in rendering Water Tanks FRP Coating Service. 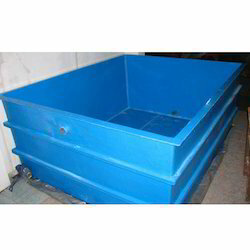 To meet the various requirements of the customers, we are involved in providing Industrial ETP Concrete Tank Coatings. Backed by massive industry proficiency, we are involved in presenting to our customers’ world class Industrial Tank Powder Coatings Service. So as to furnish the detailed demands of our patrons, we spend some time with our clients to understand their needs with a motive to accomplish supreme level of client satisfaction.